The Biopeptide Company is pleased to offer many years of experience in the design, synthesis and production of peptides using Fmoc solid phase and solution phase technology. 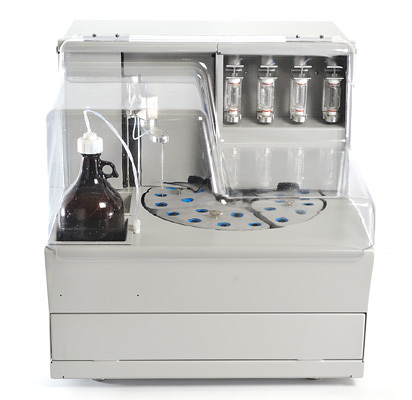 We specialize in the production of difficult custom peptides from milligram to multigram scale. We offer the best value in the industry, producing high quality peptides with fast turnaround time. 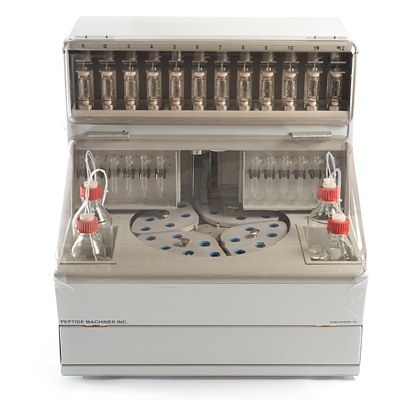 Recently Biopeptide Company acquired two new peptide synthesizers from Peptide Machines, Inc.
Discovery-4 and Discovery-12 use 2 – 3 times less solvents and reagents, comparing to other synthesizers we used in the past.